This week in "Thanks, Internet" ---Shlohmo revives a genre,Cindy Sherman becomes emoticons, a tourist remembers why we love NYC, a tumblr takes rap back to the Middle Ages, and Dinosaurs dance to Biggie. The mysterious and moody Los Angeleselectronic musician Shlohmo(given name: Henry Laufer) has been known to dabble in hip-hop and R&B, but "Beams" is the first time he's landed in a mess of drum and bass. And what a beautiful mess! The single from his upcoming albumDark Redsounds like the perfect soundtrack to an epic night outand the potentiallyNSFW video reflects that with rapid cuts of young heathens raising hell. Emoji has failedto properlyrepresentthe diversity of planet Earth's gene pool, so why not use just one young white woman to express yourself? 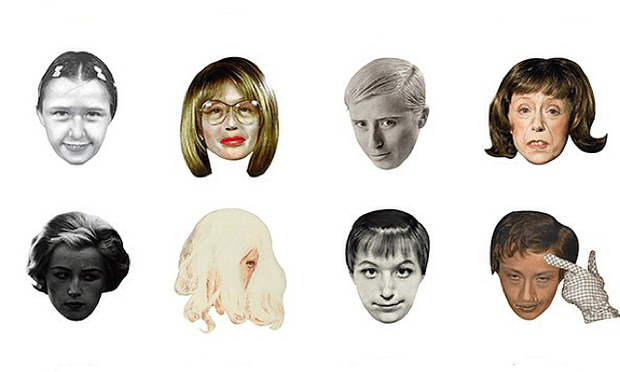 An artist named Hyo Hong has captured and cropped 20 iconic images of Cindy Sherman for you to send your friends via text message. You (and hopefully Cindy Sherman herself) can download them on his tumblr. New Yorkers are just now crawling out of the longest winter in recent memory. Decomposing trash is appearing under melting ice and everyone's struggling to remember what they ever loved about this city in the first place. But hey! Look! A touristnamed Ynon Lanmade a beautiful minute-long video to remind us. "Still NYC" captures the mood, topography, and charm of the city by rapidly stringing photos of a few familiar subjects together: New York City's diverse people, its yellow cabs, its brown Brownstones, and its infinite Starbucks locations. 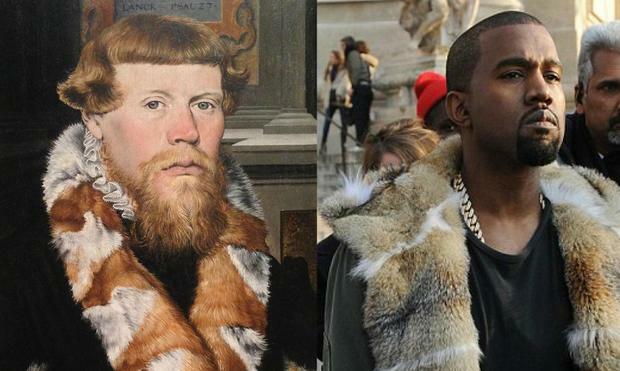 It was only a matter of time untilB4XVIcame along to showcase thesimilarities between the lavish lifestyles of contemporary hip hop stars and elites from the Middle Ages.Kanye's fur looks a lot likethat of a15th century aristocrat! Drake's album art is taken straight from Catholic motif! Some guy wore two chainslong before 2 Chainz! Let's hope this tumblr never runs out of steam. In a way, it's amazing that the TV showDinosaursever even happened. A family sitcom featuring humans in full-size dinosaur costumes? The internet continues to show love for ABC's audacious programming decision: a staycationingfather (whose family was out of town) recently spent a few days making a music video for Notorious B.I.G. 's "Hypnotize" using clips from the show. Dinosaurs forever.